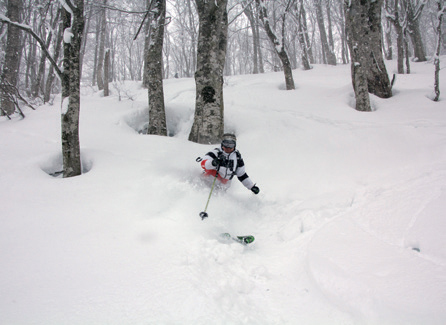 Backcountry skiing in one of Japan’s greatest snowy regions. 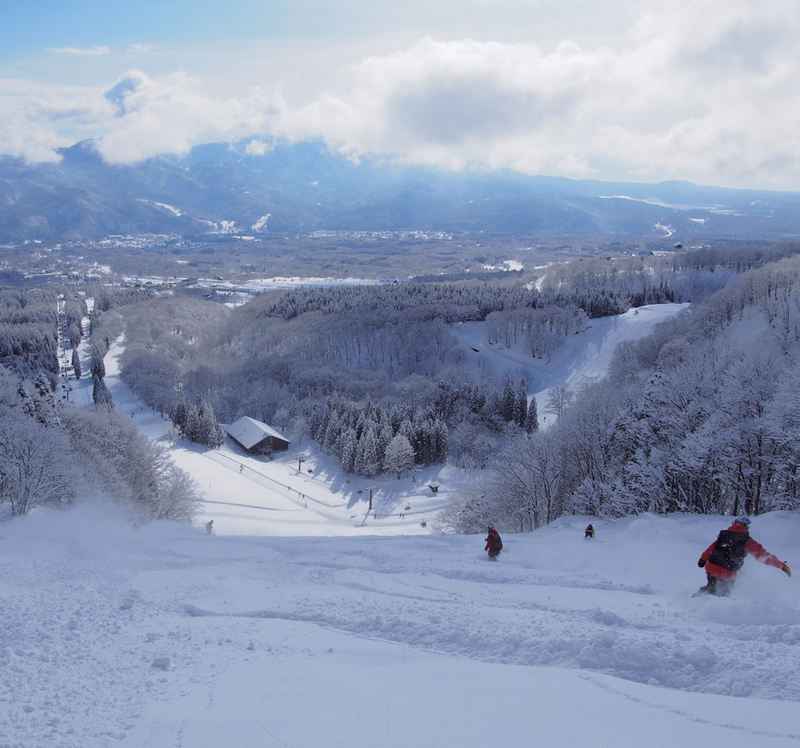 Just over the border from Nagano prefecture into neighboring Niigata prefecture is Myoko Kogen, a skiing area known for its heavy snowfalls. This area, comprised of three main skiing areas, has seen a large boom in visitors from overseas in recent years. There is the Suginohara skiing area that offers a change in elevation of over 1,100m and a skiing route up to 8,500m in length, the Akakura area comprised of the Akakura Kanko Resort Ski Area, and the Akakura Onsen Ski Area set amidst the backdrop of a hot spring town, and the Ikenotaira Hot Spring Ski Area that has seen a recent boom in park facilities and is popular to snowboarders that can be found in between. Another area seeing a boost in popularity spread through word-ofmouth from the overseas skiers who have visited recently is the Seki Onsen Ski Area. The course itself at the skiing area here is extremely small, but enjoys great popularity due to its easy access to backcountry skiing areas that let you ski to your heart’s content out on the powder snow. This time, after my trip to Echigo Yuzawa, I chose to venture forth to the skiing areas in the Akakura area and to the Ikenotaira Hot Spring Ski Area. 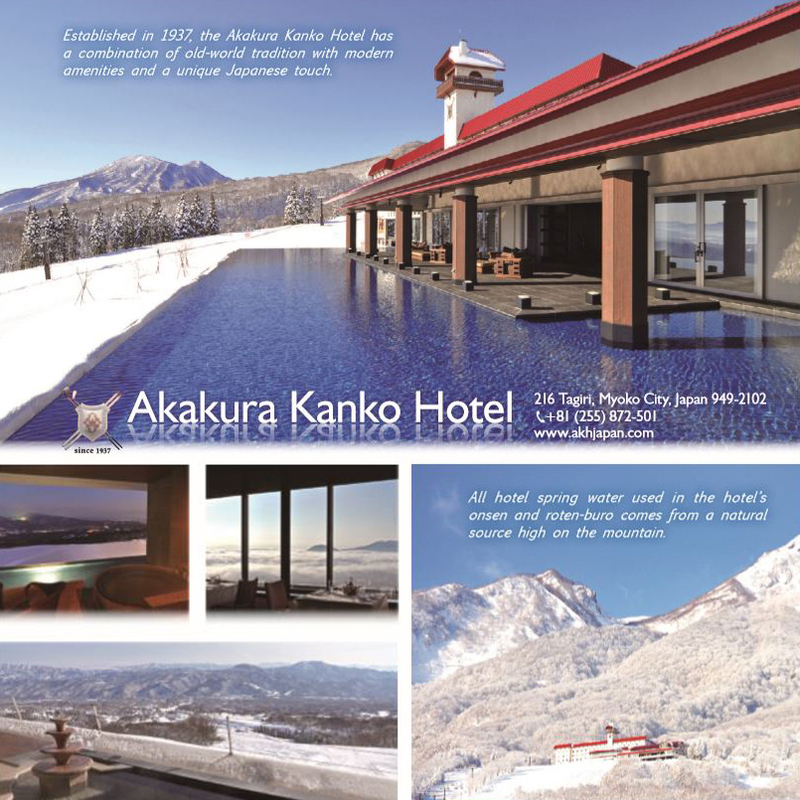 The reason for my choice was to see the longstanding Akakura Kanko Hotel on the skiing fields of the Akakura Kanko Resort Ski Area, which has recently been refurbished and affords amazing views out over the surrounding countryside. AKAKURA IS KNOWN FOR BEING A HOT SPRING TOWN, AND HERE THE TOWNSHIP’S HISTORY ALLOWS YOU TO ENJOY DELICIOUS TRADITIONAL COUNTRYSIDE CUISINE. 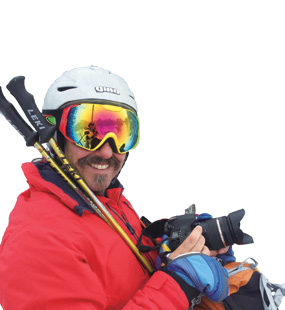 On my trip to Echigo Yuzawa and Myoko Kogen, I was joined by travel editor of the popular skiing magazine Snow Action, David Windsor. Here, David shares a few impressions on his trip to the area. The Niigata prefecture of Japan is such a rewarding adventure. The snow’s out of this world and makes for awesome days on the speedy Yuzawa “gelandes”, with over 12 resorts to choose from just 75 minutes from Tokyo; or smashing through pow in the trees and out the side and back country of Myoko. The adventure continues off slope with a relaxing peaceful onsen in our hotel or ryokan before hitting the boisterous bars and rowdy restaurants full of happy folk sharing their experiences and loud shouts of ‘kanpai’ over frosty beers, hot sake and an awesome array of shochu. As for the food, the adventure begins with fish, an omelette and pickled veg for breakfast; an amazing bowl of squid ink with mozzarella cheese udon noodles for lunch at “Udon-no-Fu” in Akakura Onsen; and for a super fun dinner I loved the okonomiyaki savory pancakes and yakisoba made in front of us on our table top hot plate at the “Lumber Jack” or the yakitori at “Asagao”, also in Akakura Onsen. None of that could top a magnificent 10 course kaiseki banquet at the NASPA New Otani Resort in Yuzawa. All up, Yuzawa and Myoko is a wonderfully happy, unique and cultural ski adventure that should be experienced with an open mind and a “try everything” attitude. The timing of my trip couldn’t have been better. Even though it was late March, the ground was thick with snow, with a further snowfall later in the night that turned the skiing fields into a heaven of powder snow by the morning. The cold was nothing like that of the harsh winter months, however, allowing me to enjoy a powder run out on the slopes. This is its facilities, most notably the newly established Aqua Terrace, were a sight to behold. Some rooms come complete with an outdoor hot spring bath, and the layout of the rooms that afford a view out over the skiing fields is the very picture of luxury. Your choice in dining ranges from French to Japanese cuisine, bakeries and more, offering a wide variety of options. 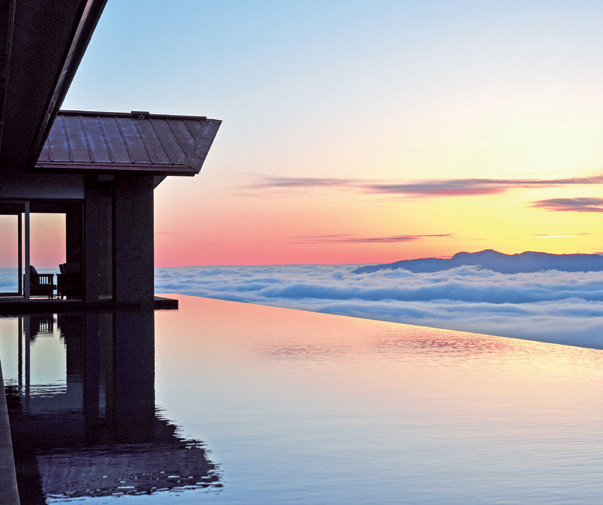 The spa facilities are a hit with female guests, and you could certainly find no better hotel for a stay in Akakura. I look forward to a stay there someday, but alas my time had come to make my descent back down the mountain. My goal for my next destination – the Ikenotaira Hot Spring Ski Area – was the tree run, an area to which entry was previously prohibited, yet opened up in response to popular demand. Heading straight for the course, I could see that the treeline in the middle of the slopes as you come down from the peak was open to entry, offering a satisfying change of pace as you ski through the trees on powder snows on just the right decline. Such easy access to sidecountry areas such as these is a true delight. The Ikenotaira Hot Spring Ski Area also offers easy access to backcountry areas. Heading to the peaks by lift and trekking further out allows you to enjoy amazing backcountry skiing. The backcountry of the Myoko area is comparatively low in risk, and highly recommended. I was able to visit the backcountry this time with the help of what I was here for! The Akakura Kanko Hotel itself offered a refined, elegant atmosphere befitting its reputation, and a guide from the Dancing Snow touring company, and was met with an amazing course. My run here was very fun yet not too advanced, making it the perfect choice for all who visit. 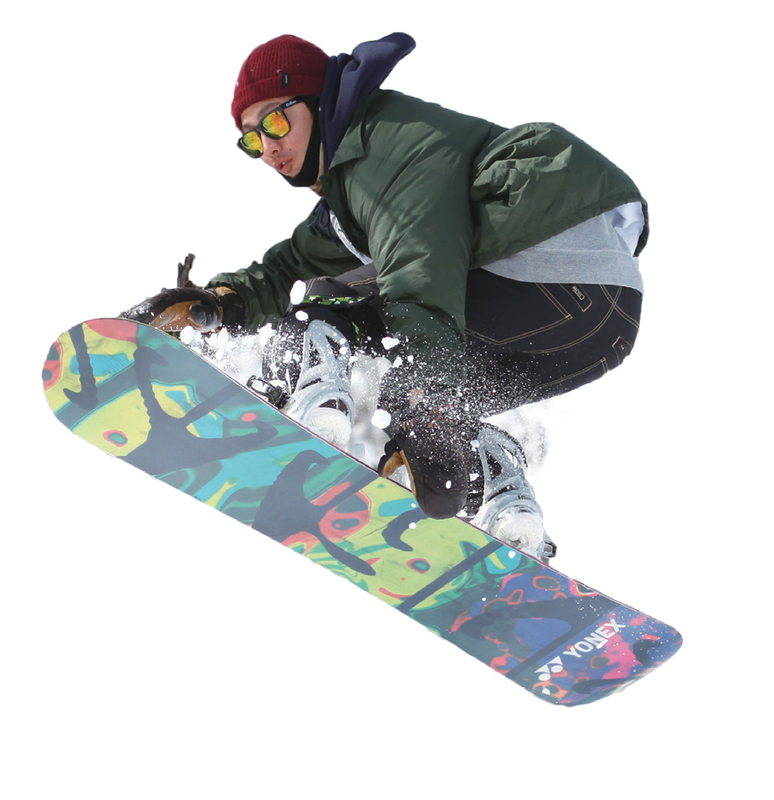 Check out the local Dancing Snow touring company for more details if you’re keen to try your hand. Of the areas in Myoko, Akakura is known for being a hot spring town, and here the township’s history allows you to enjoy delicious traditional countryside cuisine. No matter where you go, you are met with the simple yet inspiring heritage of Japanese cuisine. One recommendation is Matagi at the foothills of the Ikenotaira skiing area. While English service is not necessarily their forte, familiar fare such as ramen is on offer and a must for any who visit, offering a window to the understated tastes of traditional Japanese cuisine.